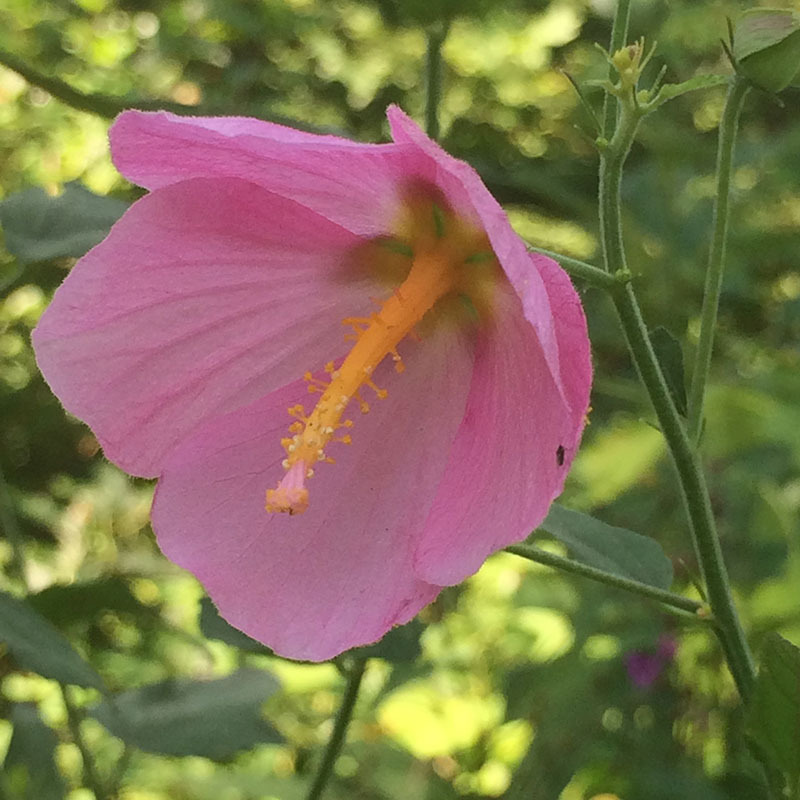 1-3”, pink, hibiscus-type flowers bloom spring to mid-fall on this eastern US native. Plants are open and wispy, waving in the summer breezes. 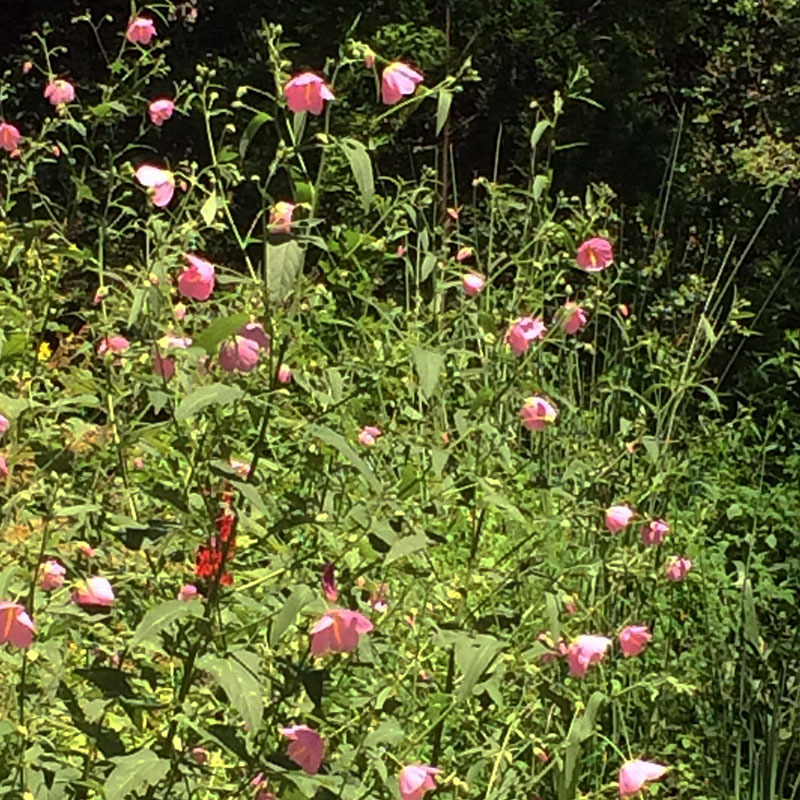 Combine with grasses and other summer-blooming perennials. Seashore Mallow can be found in marshy areas and is very salt tolerant. In the garden, it grows in average to moist soils. Full sun. Height 4-6’. Spread 1-2’. Zones 5-10.